Travelpedia is one of the best tourism services providers in India. A travel company that has maintained its presence in Mumbai. Founded in the year 2012, A travel company that has maintained its presence in Mumbai. We have our strong presence in operating the domestic and international customized tours. We have been operating from 3 major states in India, Maharashtra, Uttarakhand & Jammu-Kashmir, with Jammu-Kashmir being the DMC office for Travelpedia and Uttarakhand as an associate office . In the year 2013, we launched a religious tour, called the “Chardham Yatra”, a holy land tour for Hindu Indians and Kashmir as leisure destination in the B2B & the B2C segment, with the head and sales office being Mumbai. Apart catering clients in Domestic sectors, we cater international customized tours in Asian countries as well as in Russia, Turkey, UAE and European countries. 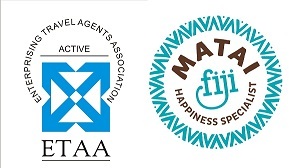 Travelpedia has been in association with ETAA (Enterprising Travel Agents Association) since 2015 and has been an active member in the association. Strong Associations with budget and luxury hotels across the country enables us to give our clients their best value for money. This trait of Travelpedia, gives an upper hand to the company in getting the best services for B2B and the B2C clientele, enabling a smooth vacation. Book your package now !